NextGenUrban is a Sustainability Fund and a team of innovators with a fresh approach to infrastructure and real estate development. We build private neighborhoods underpinned by our proprietary sustainable infrastructure platform that blends renewables, cleantech, robotics, and artificial intelligence to deliver the lifestyle beyond sustainability. Investment Thesis: Consumers desire a sustainable lifestyle but find it impossible to achieve on their own. Current market offerings are inadequate limited and fragmented due to the incredible technical complexity of creating sustainable systems. The result is a massive supply-side failure by the real estate industry to provide sustainable lifestyle options. Therefor the provider of a true and comprehensive solution is well positioned for profits, future growth, operational stability and will likely be the instant market leader in this emerging sector. Value Proposition: We offer "Instant Access to Sustainable Lifestyles". Business Model: "Sustainable Lifestyles As A Service". We build own and operate private neighborhoods underpinned by our modular infrastructure platform to unleash the lifestyle beyond sustainability through a single-point-of-contact service agreement that comes standard with every home purchase. How It Works: By combining mixed use neighborhoods with a highly integrated cleantech infrastructure platform, we are able to deliver entire neighborhoods featuring privatized & decentralized water energy food & fuel resources that provide customers with the sustainable zero-waste carbon neutral lifestyle they desire. Under The Hood: By integrating renewables and cleantech infrastructure, then enhancing the resulting platform with robotics and artificial intelligence, it becomes possible to tease out the synergies hidden deep within resource cycles. Therein lies the real value of a comprehensive platform capable of producing and delivering the critical resources of water energy food, & fuel. 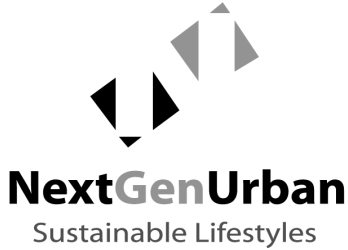 NextGenUrban is creating the first real estate portfolio branded as "Sustainable Lifestyle Communities"
The team has embarked on the creation of the world's first real estate portfolio branded as "Sustainable Lifestyle Communities". Through self finance and the formation of our own fund, NextGenUrban maintains the patience required to monetize infrastructure investments and the long-term control that enables us to achieve our original purpose of creating wonderful places to live and raise healthy families. The company operates under a conservative financial approach where capital expenditures are covered by a minimum of three times the value in underlying real estate values.